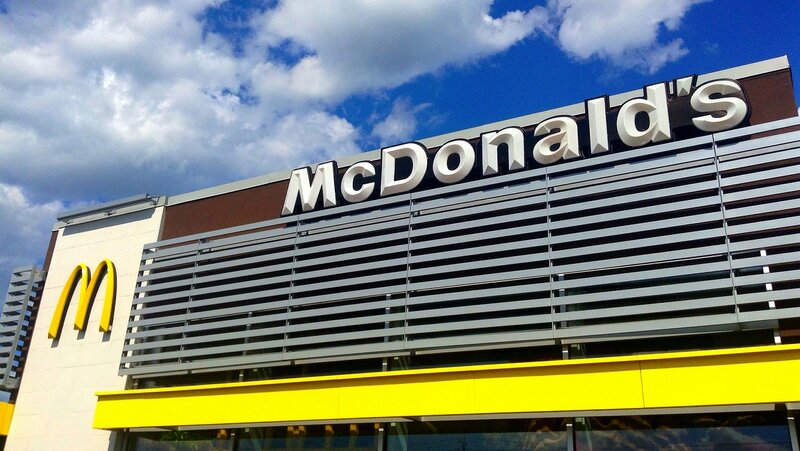 CHICAGO (AP) — McDonald’s says modernized stores and revamped value menus helped bring in more customers last year. The world’s biggest hamburger chain said sales rose 4.4 percent at established locations in the fourth quarter and 4.5 percent for the year. McDonald’s President and Chief Executive Steve Easterbrook said the October-December period was the 14th straight quarter that McDonald’s has seen global same-store sales growth. In the U.S., the Chicago-based chain’s largest market, same-store sales were up 2.3 percent in the fourth quarter, driven in part by higher prices. The chain dropped the Happy Meal from its $3 value menu in October, for example, and now charges more for Happy Meals with Chicken McNuggets. McDonald’s on Wednesday reported fourth-quarter earnings of $1.42 billion, or $1.82 per share. Adjusted for one-time gains and costs, that came to $1.97 per share, which is 7 cents better than industry analysts had expected, according to a poll by Zacks Investment Research. Revenue was down 3 percent to $5.16 billion, matching forecasts. Revenue was expected to fall as McDonald's puts some company-owned stores back in the hands of franchisees. Around 90 percent of the company’s stores globally are run by franchisees; McDonald’s wants to bring that to 95 percent. In morning trading, shares of McDonald's rose 2.8 percent to $187.31.